Tant Hill Farm | Real Food. Real Living. Where The Soil Is Not Dirty. Tant Hill Farm is a 100 year old farm that still has the old homestead, barn and hand dug well in use. The land is on rolling hills and fertile soil that give a perfect environment to produce naturally grown fruits and vegetables. 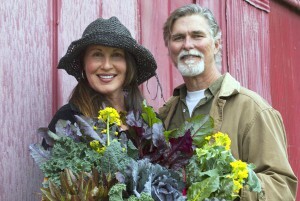 Mark and Gina Tant pride themselves in caring for and producing a wide variety of beautiful, nutrient dense fruits and vegetables. 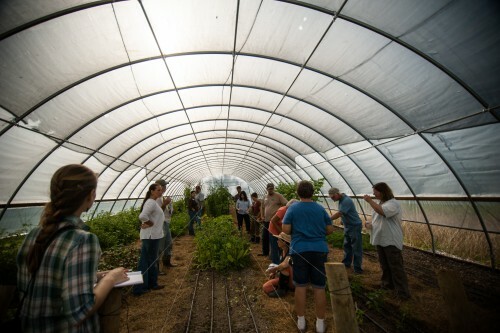 There are no chemicals or man-made products used on the farm. Happy hens are raised for Organic eggs. All hens are kept on free range pasture where they can enjoy the sunshine, exercise, eat bugs and grass. When feed is required they are given USDA certified organic feed that is Wheat and Soy free. See here for more information about CSA Membership! Gina , thank you so much for showing us around today. I enjoyed meeting you and learning about your farm. It was great to meet you Kathy and Steve! I enjoyed showing you around! So excited to hear of your desire to eat healthier and grow your on nutrient dense food!